Gamomat is a company that comes from Germany and provides (you guessed it) relentless and legendary quality the Germans are famous for. They usually feature a combination of fast-paced, high-variance games and hi-res graphics with crispy and impressive sound. Having conquered Germany and created a reputation there, Gamomat is out for global expansion and making their presence known in Europe (just like us, haha). They have over 250 games, some of which are familiar to the fans of classical land-based casino gaming, like Sticky Diamonds and Gates of Persia. You probably know Ramses Book (we suspect The Book of Ra was inspired by it) for its 500x the total bet win and 10-line gameplay. We are thrilled this company is on our list because we know how good Germans are at paying a lot of attention to detail. In this respect, they are outdone only by the Swiss, and even that doesn’t happen 100% of the time. We remind you again to be careful when it comes to reading wagering requirements on bonuses and T+Cs in general. We especially dislike the “By using the website, you agree on to….” function. Stay in touch by reading our blog. The games they have are completely compatible with mobile devices and have been designed to function taking into account the latest devices’ features. There is also multi-language support with plenty of bonus features like gambling modes of different kinds and progressive jackpot. Those have their own conditions: be sure to read the rules carefully. The games are more often than not go through Oryx. As we said, we like this company a lot for the irreproachable quality of its games. We also think some of the games this company has produced have set an example for a bunch of other ones, which is a sure sign something is done well. 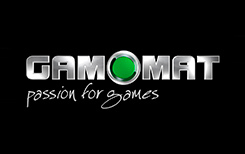 With the dedication know around the world, Gamomat has set their sights on converting the best games around into online slots – and that’s what they’ve been doing for a while now using the best HTML5 and Flash. BMM Testlabs handles their RNG testing so that the user can be sure the games are completely fair. They have the best licenses, we think, in the business, which comes from the Malta Gaming Authority, the authorities in Schleswig-Holstein, and the Isle of Man Gambling Commission.